As a child, zookeeper Shannon Collard was raised on the exotic adventures of Diane Fossey, Jane Goodall and Biruté Galdikas. 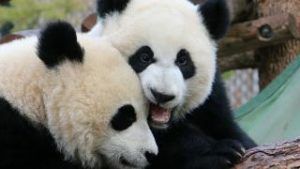 “It’s one thing to have heroes as a little girl, but it’s quite another to be lucky enough to grow that interest into a full-time job working with primates,” says the native Calgarian, who works with the Calgary Zoo’s eastern black and white colobus monkeys and western lowland gorillas. One thing that separates apes from so many other species is their degree of self-recognition. If you place a mirror in front of an ape, they know they are looking at themselves. They may try to brush something like a piece of straw off their face. Many monkeys, on the other hand, will think their reflection is another individual and they will look behind the mirror to get their bearings. Like her childhood heroes, Shannon is passionate about educating the public about the importance of conservation. 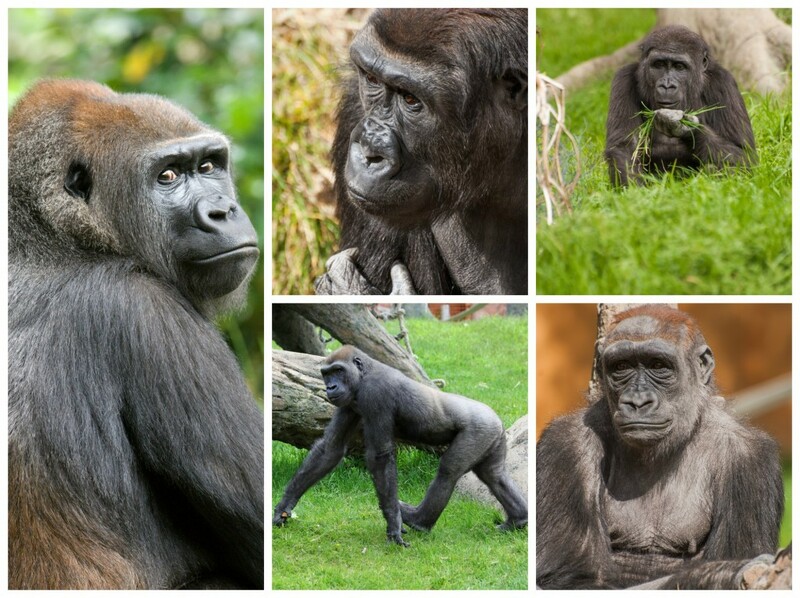 Of all the animals in the Rainforest section, the gorillas are the most critically endangered. “Many people are unaware of the threats that face gorillas,” she says. “One simple thing we could all do is reduce the use of certain products in our lives, such as palm oil.” According to the World Wildlife Fund, an area the size of 300 football fields of rain forest is cleared each hour to make way for palm oil production which directly impacts the habitat for primates, including western lowland gorillas whose numbers have dropped more than 80 per cent in three generations. This winter, watch for a chinook wind. While many of the rainforest animals stay inside during the winter, when a balmy chinook blows in, the gorillas often scoot outside and bring back fistfuls of snow to eat. It’s also the season when the colobus monkeys are housed with the gorillas. If you’re lucky, you’ll see the youngest gorilla and colobus playfully chasing each other.